AOT-TP is currently looking for a committed doctoral researcher related to the topic “Interfacial Tension and Viscosity of Biphasic Liquid Systems by Experiments and Molecular Simulations”. More details are given in a short project description (download pdf-file in English or German). The Institute of Advanced Optical Technologies − Thermophysical Properties (AOT−TP) headed by Prof. Dr.-Ing. habil. 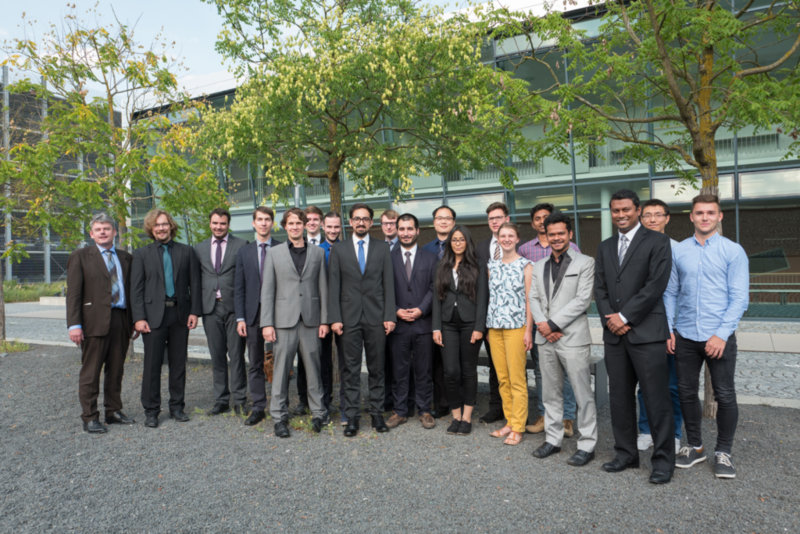 Andreas Paul Fröba has been established in 2015 as an independent unit within the Department of Chemical and Biological Engineering (CBI) and is located at the Erlangen Graduate School in Advanced Optical Technologies (SAOT) of the Friedrich-Alexander-University Erlangen-Nürnberg (FAU). The institute and its staff members focus on the development and application of various conventional and optical methods for the accurate determination of thermophysical properties of fluids of interest for chemical and energy engineering. Besides the experimental approach, the expertise of the institute also includes the theoretical calculation of thermophysical properties based on molecular dynamics (MD) simulations as well as the development of prediction schemes for engineering practice. Furthermore, activities related to heat transfer are in the scope of the institute.